Reagan moved immediately to capitalize on the momentum of the Goldwater speech and began appearing before Republican gatherings in California and elsewhere within weeks of the 1964 election. By 1965, encouraged by conservative political leaders and right-wing businessmen in California, he had decided to run for governor; he formally announced his candidacy early in 1966. His opponent was the incumbent governor, Edmund G. Brown, a popular politician running for his third term. (He had defeated Richard Nixon four years earlier.) Brown spoke condescendingly of Reagan's inexperience and ridiculed his film career. But he was no match for Reagan's homespun magnetism. 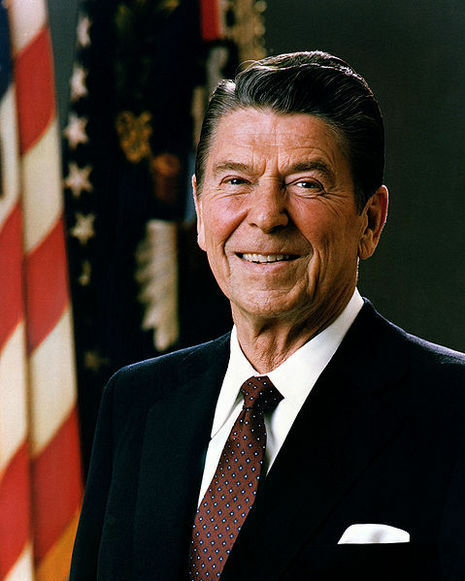 January 1: Reagan announces candidacy for governor of California. He promises to reduce the waste in government and to "clean up the mess at Berkeley."